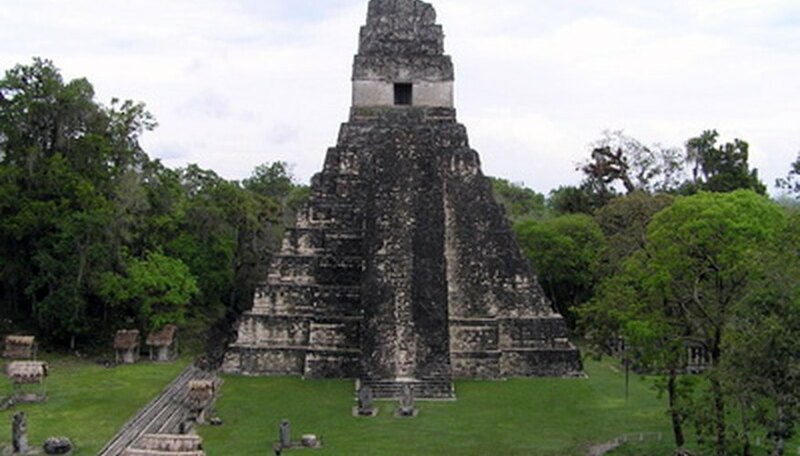 The mountainous country of Guatemala is home to stunning biodiversity, making it a hot spot for ecotourism. Home to vast wetlands, mangrove forests and scenic lakes, Guatemala contains a staggering number of unique plant species. Flowering trees are a common sight throughout the country, where they grow in the wild and in cultivation. 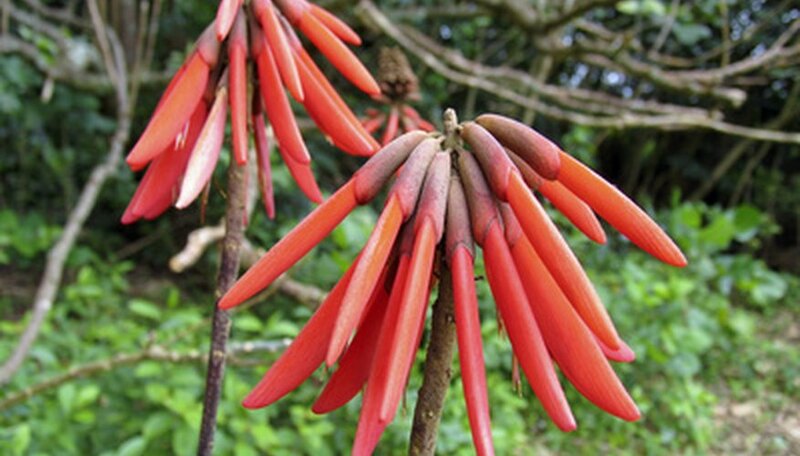 The purple coral tree (Erythrina fusca), also called coral bean, is a deciduous tree that grows throughout Guatemala, as well as in parts of Central and South America. The plant is sometimes cultivated for its brilliant red blooms, which grow in narrow clusters, as well as for the shade that the tree provides in hot summer months. Purple coral trees have adapted to coastal environments and grow well near bodies of water. In some countries, the young leaves of the purple coral tree are eaten, although parts of the plant do contain toxic alkaloids. The plant is believed to be pollinated by hummingbirds. Jacaranda is a genus of flowering trees, species of which can be found throughout Mexico, Central America and the Caribbean. 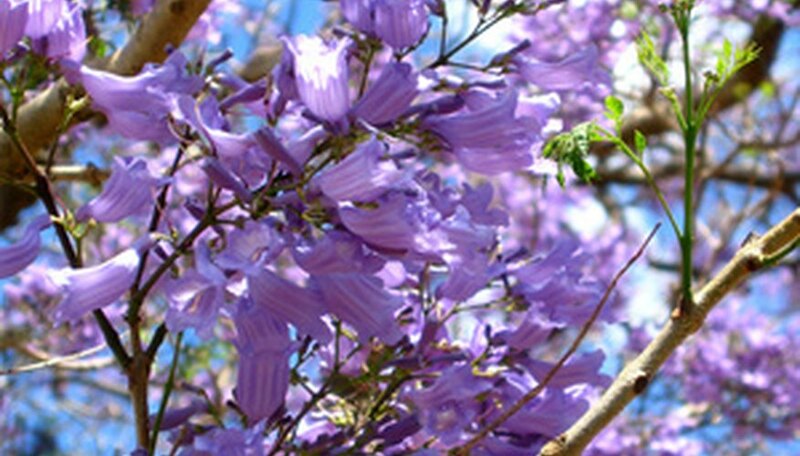 The blue jacaranda (Jacaranda mimosifolia) is one of the most commonly cultivated types of Jacaranda trees because of its rows of tubular blooms, which are a shade of bluish-violet color. Ornamental blue jacarandas can be found all over the world in warm temperate and subtropical climates. The tree boasts thin, grayish bark and attractive fern-like leaves. Allspice (Pimenta dioica) is a small, scrubby tree native to Mexico and Central America, including Guatemala. The plant is famous for its berries, which are dried and processed and used in cooking throughout the world. Allspice berries are also frequently used in commercial deodorants. The plant has shiny, oval-shaped leaves and tiny clusters of fragrant flowers that are about 6 cm in diameter. Allspice can be grown in containers and is occasionally cultivated as an indoor plant. What Are the Flowering Trees in Phoenix?